April action: April can't help but start on the right boxoffice foot thanks to March winding up with a super powered $170.1 million kick off for "Batman v Superman: Dawn of Justice." Critics didn't go out-of-this-world for "BvS," but that certainly didn't stop moviegoers from turning out en masse to see Batman and Superman go at one another in a shared universe. They made "BvS"the biggest March opening weekend ever, according to comScore, beating "The Hunger Games'" $152.5 million for the weekend of Mar. 23-25, 2012. "Hunger" did $408 domestically, which "BvS" may wind up surpassing. "BvS"is now the biggest Easter weekend opening ever, eclipsing "Furious 7," which opened last Easter (Apr. 3, 2015) to $147.2 million and got to $353 million domestically. And, per comScore, it's also the second biggest non-summer debut ever, following "Star Wars: The Force Awakens," which opened Dec. 18, 2015 to $248 million. Its domestic cume is now $933.7 million. "BvS"played well to families in comScore's tracking, and did particularly well with under-12 kids, especially boys. The new PG-13 rated 3D fantasy action adventure from Warner Bros., DC Comics and RatPac Dune Entertainment is directed by Zack Snyder ("Man of Steel"). It stars Ben Affleck as Bruce Wayne/Batman; Henry Cavill as Clark Kent/Superman; and introduces Gal Gadot as Diana Prince/Wonder Woman. Understandably, "BvS"didn't face much wide opening competition last weekend. The lone contender was the PG-13 rated comedy "My Big Fat Greek Wedding 2" from Universal Pictures, Gold Circle Films, HBO Films and Playtone, which placed third with $18.1 million. That was good counterprogramming since its core audience is adult females vs. the more male appeal "BvS." Directed by Kirk Jones ("What to Expect When You're Expecting"), it stars Nia Vardalos, John Corbett and Michael Constantine. The first "MBFGW" opened wide Aug. 16, 2002 to $5.7 million and after an extraordinary 52 week run wound up with $241.4 million domestically. April is traditionally a transitional month from winter's bad weather and short days to the pre-summer energy of May. It can generate some sizable boxoffice successes as moviegoers get out of winter mode and take advantage of better weather to get out of the house and unwind. In recent years, Hollywood has made the most of April as a launch pad for likely heavy hitters before the competition starts to overheat in early May. Last April's top film was "Furious 7," opening to $147.2 million and winding up with $353 million domestically. April 2014 saw "Captain America: The Winter Soldier" open to $95 million and get to $259.8 million domestrically. Looking ahead, this April will bring some high profile releases that should keep the multiplexes humming nicely until the first big guns of early summer arrive. One title to keep an eye on is Universal Pictures' R rated comedy "The Boss,"opening Apr. 8. It's from "Tammy" director Ben Falcone and stars Melissa McCarthy, Kristen Bell, Peter Dinklage and Kathy Bates. In "Boss,"McCarthy plays Michelle Darnell, a titan of industry sent to prison for insider trading. When she returns, ready to rebrand herself, not everyoneis ready to forgive and forget. "Boss"should dominate ticket sales the weekend of Apr. 8-10, playing best to young adult female audiences who clearly love McCarthy's raunch comedy style. McCarthy scored her best boxoffice success with "Bridesmaids," which opened May 13, 2011 to $26.2 million and did $169.1 million domestically. "Boss"should dig in for some good second weekend ticket sales. Its big competition then will be the Apr. 15 opening of Walt Disney Pictures' PG rated family appeal 3D fantasy adventure "The Jungle Book. "That's good counter-programming since families are its core audience. "Jungle"could take some family business away from "BvS," but by Apr. 15 the superheroes will have already made their biggest impact on the boxoffice. Directed by Jon Favreau ("Iron Man" one and two),"Jungle"starsLupita Nyong'o, Scarlett Johansson and Idris Elba. Based on Rudyard Kipling's timeless stories and inspired by Disney's classic animated film, "Jungle"is an all-new live-action adventure about Mowgli (newcomer Neel Sethi), a man-cub raised in the jungle by a family of wolves. 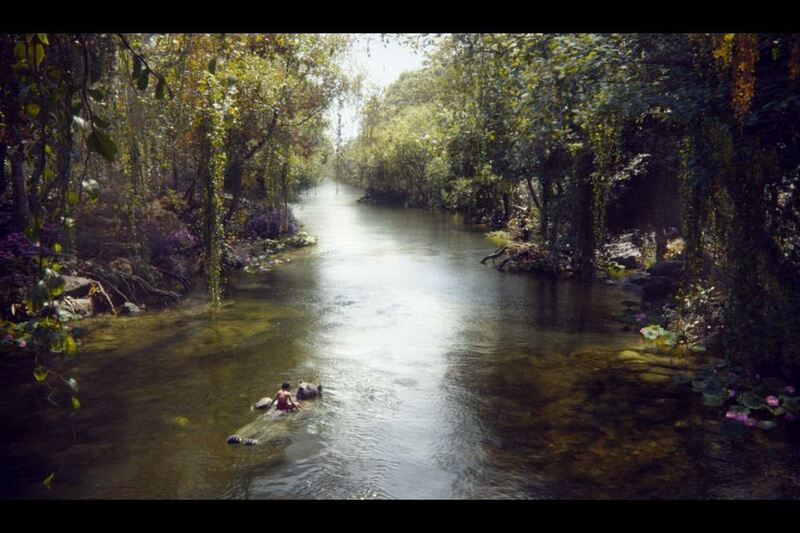 After embarking on a journey of self-discovery, Mowgli is forced to abandon the only home he's ever known. Another high profile likely boxoffice winner heading to theatres later in the monthis Universal Pictures and Roth Films' PG-13 rated action adventure "The Huntsman: Winter's War," opening Apr. 22. "War" is produced by "Maleficent" producer Joe Roth. It's directed by first time feature director Cedric Nicolas-Troyan, who was the second unit director on the franchise's first episode, "Snow White and The Huntsman. "After opening June 1, 2012 to $56.2 million, "Huntsman" did $184.9 million domestically. 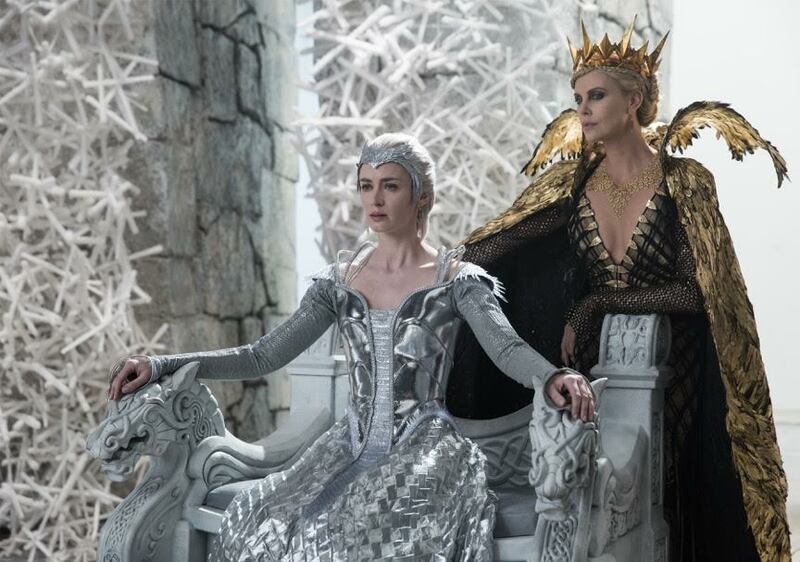 In "War," Charlize Theron plays the Evil Queen Ravenna whose Ice Queen sister Freya (Emily Blunt) has raised a legion of deadly huntsmen -- including Eric (Chris Hemsworth)and the warrior Sara (Jessica Chastain) -- who've defied her demand that they forever harden their hearts to love. WithRavenna's demise, Freya summons her remaining soldiers to return the Magic Mirror to the only sorceress left who can harness its power. Bottom line:April's got a super sized holdover hit in "BvS"plus some promising new titlestokeep boxoffice momentum going until May 6 when Marvel and Disney's 3D action adventure "Captain America: Civil War" arrives.